Official Assured Performance Collision Care signage. Official Infiniti Certified Signage for Retailers and sponsored independents. Business development process and feedback to ensure your shop continues to have what it takes to properly repair the new generation of Infiniti Vehicles. 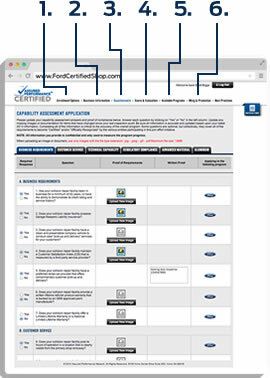 Leveraging the exclusive Infiniti Certified status to promote and market your shop. Listing on Infiniti body shop locator websites and consumer-facing smart phone apps with micro-sites. Referrals through the consumer-facing Certified shop locator. 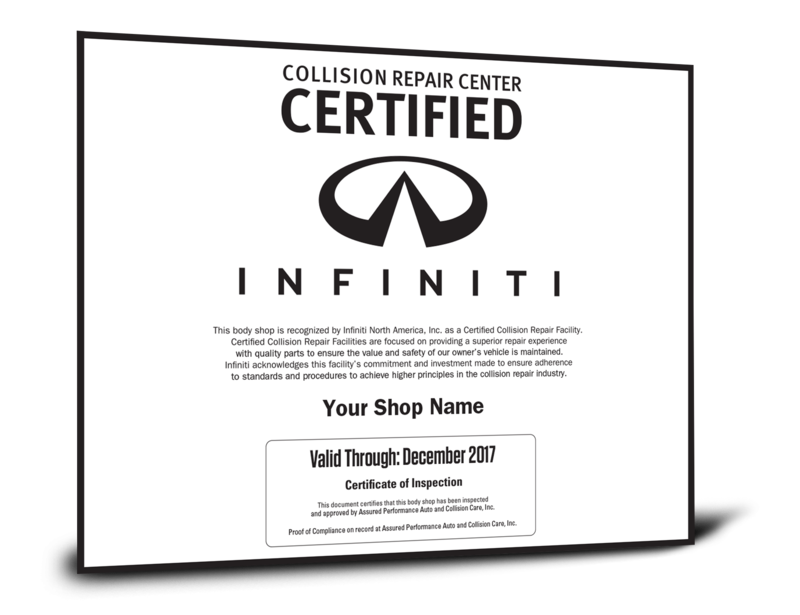 The new Infiniti Certified Collision Repair Network enables Retailers and qualifying independent body shops to become officially Certified by Infiniti. The programs mission is to identify and promote those facilities that have the right tools, equipment, training and facilities necessary to repair Infiniti vehicles back to manufacturer specifications. This is critical to help ensure the vehicle fit, finish, durability, value and safety. The extensive marketing Infiniti does on behalf of the Certified Shop Network is driving thousands of owners each month to use the shop locator to find a shop near them. In the near future, we want to make sure your shop is included in the network shop locator tool for our owners. This step provides the list of requirements and standards your shop must meet. The question and answer process allows you to assess your capabilities and create a business development plan, if necessary. As you go through the process, you can assess whether or not you will be able to make the grade. If not, you can make any business improvements necessary before scheduling an onsite inspection-audit.